Green Horizons Flats Fishing is offering a very special adventure designed to get you and your family up close and personal with some incredible Manatees of Belize. This is a fun adventure for young and old alike, or any group of friends that want to spend a day on the water exploring where these wonderful animals live. We travel on Miss Pleasure, which is comfortable, has a privy, and the Captain and crew can answer just about any question you have about marine life or Belize! 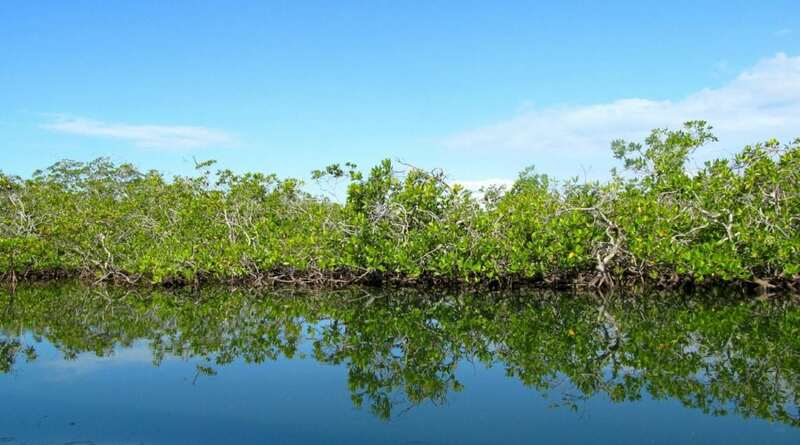 They will explain the marine life you see along the way, like why we need mangroves, and point out notable landmarks and other points of interest. The Manatee Rehabilitation Center, near Sarteneja, is their home ground, as well as along the northern coastlines. If this kind of vacation experience is on your bucket list, this is a great place to see it! You will go home with some amazing memories and photos. Here are the highlights of this adventure. We board Miss Pleasure in the morning and head toward the protected areas along the Northern Belize coast where the Manatees hang out. Manatee watching has become one of the most popular tourist attractions in Belize. 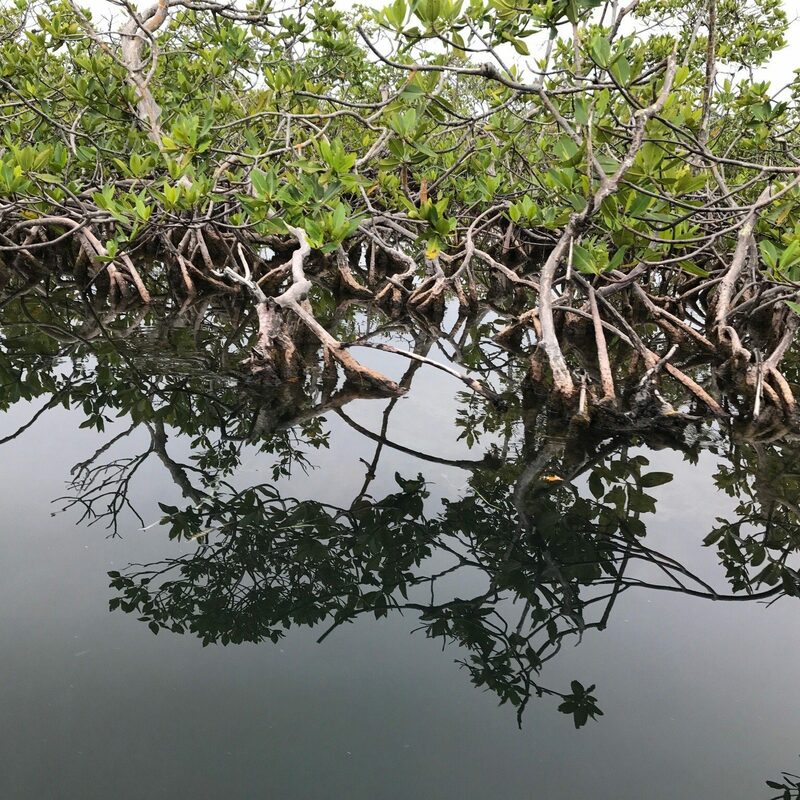 These gentle and sometimes curious creatures can be seen swimming just below the surface, in their natural habitat around Corozal Bay. 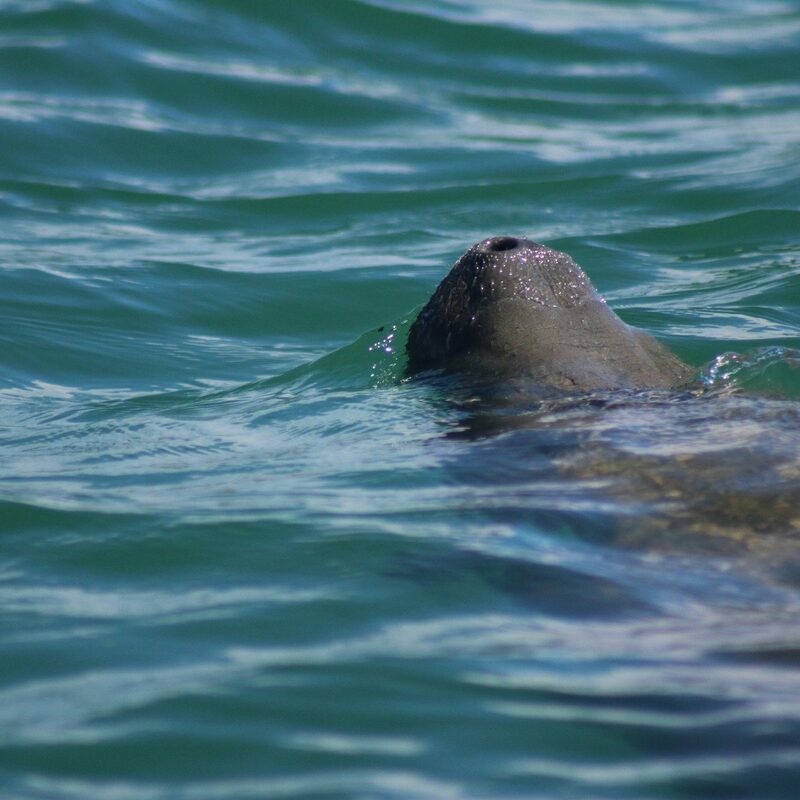 We cruise along the coast or close to the river mouth, where manatees like to swim. 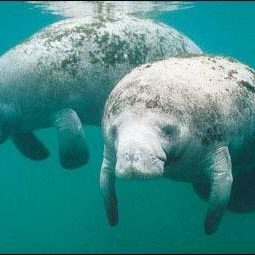 Later we will visit The Manatee Rehabilitation Centre outside of Sarteneja, run by Wildtracks, a local NGO. This hard-working group of volunteers, take care of hurt or orphaned Manatees and rehabilitate them, as well as and other animals. You will see Manatees in different stages of rehabilitation, being cared for in big pools until they can regain their health. When they are ready, they are slowly led back out to the sea. 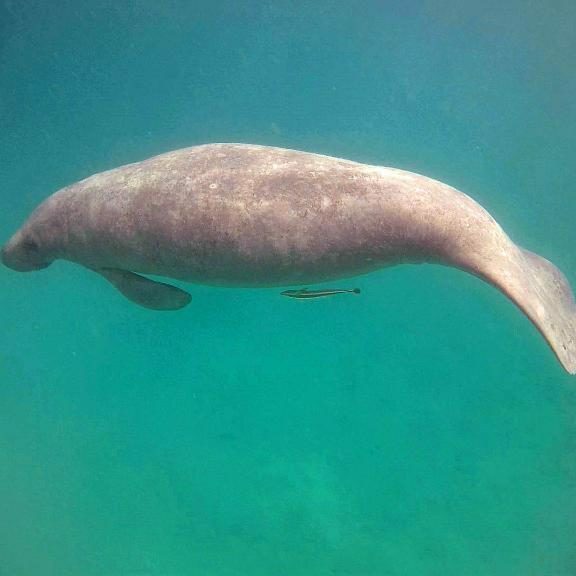 Belize may have the last stronghold for this marine mammal, and the Antillean Manatee is listed as endangered under Belize’s Wildlife Protection Act of 1981. This charter leaves from a pier closest to your hotel, around 8 am and head out to some likely areas. The Captain and crew know what signs to look for and will let you know when the Manatees are spotted! Get your camera ready! Belize is known to be an angler's paradise with amazing fishing all along its coast. Green Horizons Flats Fishing offers fishing and land adventures in Northern Belize. Fish on the Reef, or the many flats for Permit or Bonefish year around. Our unique location between Corozal Town and Ambergris Caye opens many possibilities when it comes to any type of fishing!